Strike up the band with this artistic take on the US Flag! 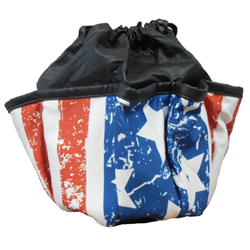 The bag features 10 pockets lining the exterior as well as two drawstrings to open and close the bag. But wait there's more; a complementary pouch is included too.